Mouse anti Cat MHC class II antibody, clone PF8J-9B recognizes an epitope within the ~30 kDa beta chain region of cat MHC class II molecule, expressed by antigen presenting cells, B cells, monocytes and activated T lymphocytes.  The major histocompatibility complex (MHC) is a cluster of genes that are important in the immune response to infections. In cats, this is referred to as the feline leukocyte antigen (FLA) region. The complex retrovirus FIV (feline immunodeficiency virus), is responsible for a progressive and debilitating immune deficiency syndrome in domestic cats, similar to that caused by the human Immunodeficiency virus (HIV). The intensity of MHC Class II expression on cat lymphocyte membranes vary in association with feline retrovirus infections (Ohno et al. 1992). MCA2724 detects band/s of approximately 29-31kDa on fractionated cat lymphocyte cell lysates under non-reducing conditions. Zhang L et al. (2015) Phenotypic and functional analysis of CD1a+ dendritic cells from cats chronically infected with feline immunodeficiency virus. Comp Immunol Microbiol Infect Dis. pii: S0147-9571(15)00055-7. Litster, A.L. et al. (2013) Diagnostic utility of a direct immunofluorescence test to detect feline coronavirus antigen in macrophages in effusive feline infectious peritonitis. Vet J. 198 (2): 362-6. Hunt, P. et al. (1995) Variable expression of major histocompatibility complex class II in the domestic cat. Res Vet Sci. 59 (3): 195-200.